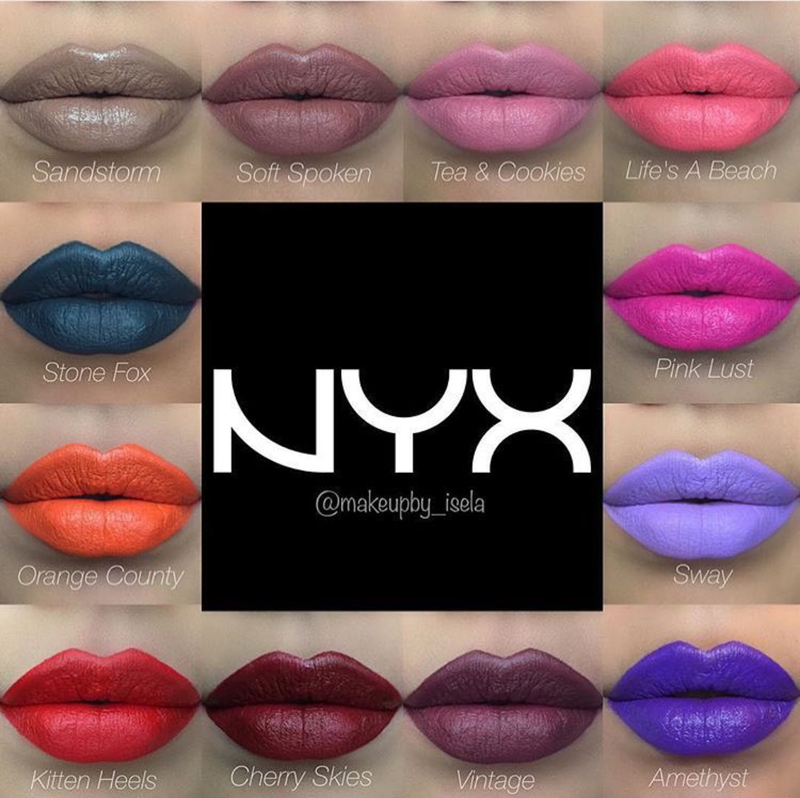 NYX Liquid Suede Lipsticks Collection - What Color is It ? Hey there ! Hope you are at least as fine as I am ! After some eyeshadows and nail polishes, I decided to write about lipsticks and I kind of dream of those… The NYX Liquid Suede cream Lipsticks look gorgeous to my broken eyes but seem to be more than that to bloggers and youtubers. They are creamy, waterproof and have a matte finish. The colors seem to be intense. If I have one someday, i promise that I will do a review of the packaging but it is not possible for now. Here are the shades for those who are interested. Reminder : do not hesitate to say if you did not understand something because English is not my native language. You can find them here : http://www.nyxcosmetics.com/liquid-suede-cream-lipstick/NYX_201.html but I find the website quite difficult to manipulate with VoiceOver. If you want me to propose accessible website (if I find some) to directly buy the products you feel interested in, feel free to tell me.